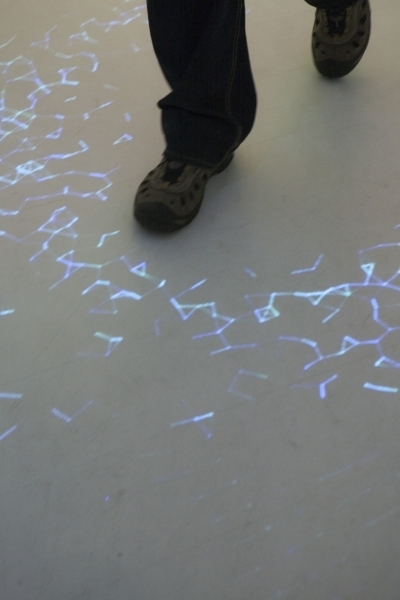 A grid of particles flow around the viewer's silhouette, generating sounds as they move and collide, amplifying the effects of even the smallest actions. 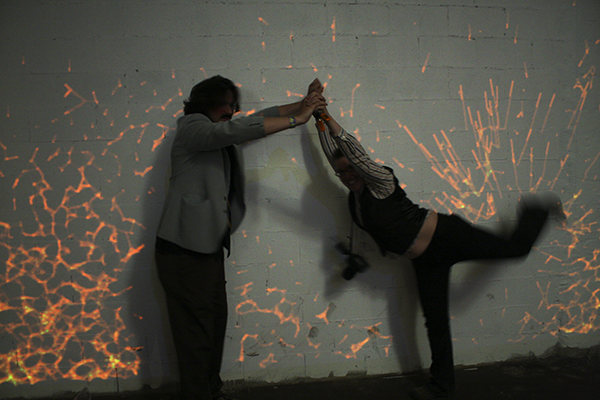 Using a projector, camera and custom software, I have developed this system as an exploration of presence and behavior. The level of response is entirely up to the viewer: a small movement may generate a tinkling sound and a large movement creates an explosion of audio and visual synthesis. The response from the system is immediate and engenders a very playful interaction, and, depending on the size of the projection, can support many users at once. The change in behavior of the participants takes on a performative aspect all its own. 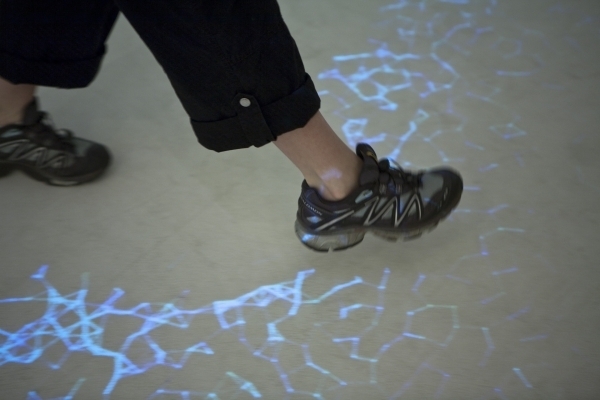 The experience is a combination of a childlike encounter with water, a complex fluid-dynamics simulation, and an experimental electronic music show.